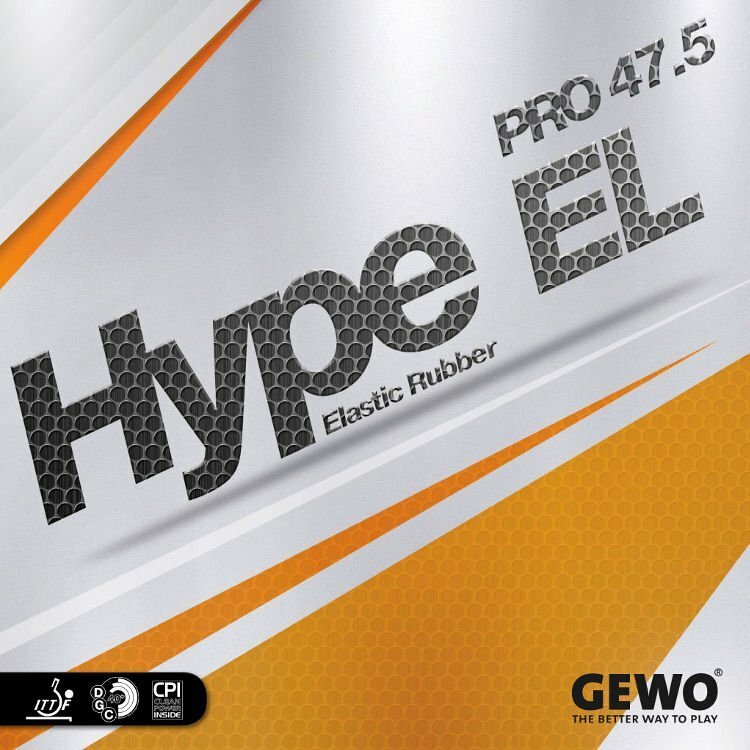 The GEWO Hype EL Pro 47.5 has the perfect combination of explosive power spin and an extreme increase in speed, a rubber specially developed by GEWO for top players. You save 15% (5,48 EUR). The ultimate playing experience of effective power transmission and total forgiveness; the newly developed surface structure characterizes the GEWO Hype EL Pro 47.5. High quality technical features such as DGC40+ (Dynamic-Grip-Concept) ‘Power Tension Boost’ and CPI (Clean Power Inside) support the individual characteristics of the GEWO Hype EL Pro 47.5. The fastest and most dynamic rubber of the Hype EL Pro Series has been developed specifically to meet the demands of players with a higher practice routine who favour harder sponges. High dynamics on impact, coupled with a very spinny surface, make this the perfect rubber for every offensive player - because: "The last point makes you the winner!"